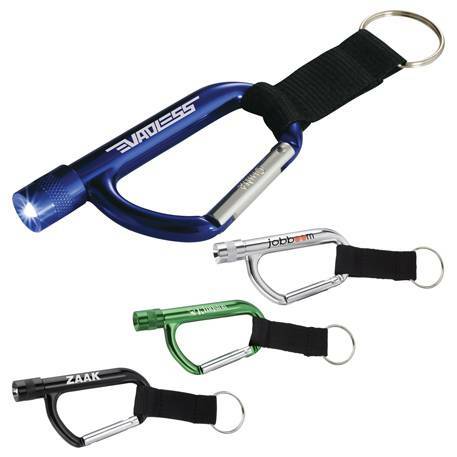 Carabiner with single white LED light. Black woven nylon strap with metal split key ring. Button cell batteries included (not inserted). 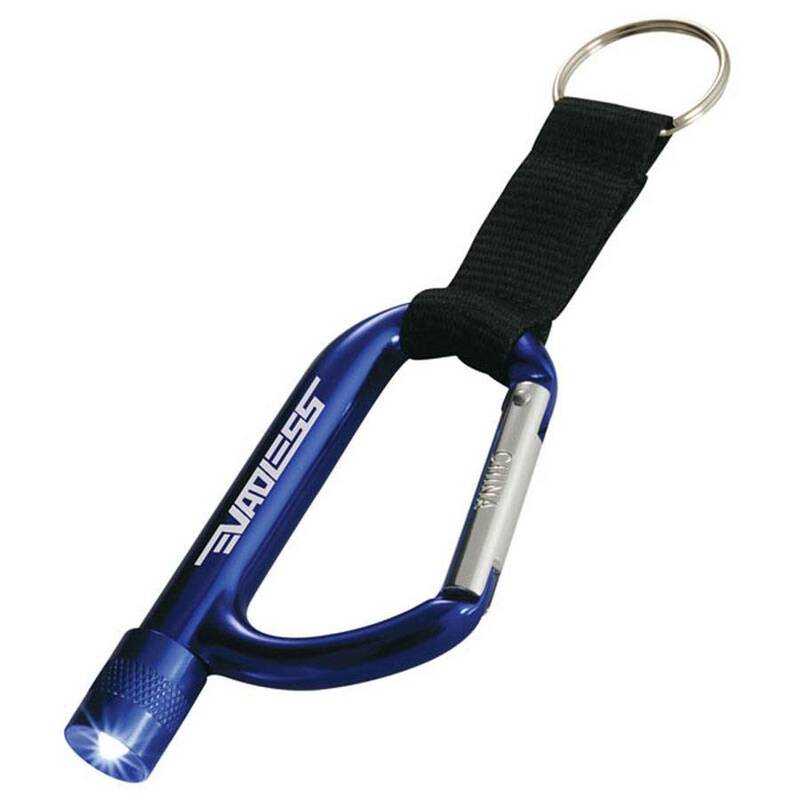 Price includes FREE Laser Engraved Logo and text. 3 3/4" x 2 1/8"
31 lbs per 300 pcs.